I love the name of this farm! I have watched them from their opening and it is so inspiring to see their dedication to educating and informing all – about organic farming. They visit the local schools to talk about Organic Farming. As a teacher I would definitely include them in my programmes no matter what level I was teaching at. This is one of the most effective ways of ensuring we have a future generation of young adults informed about the benefits of Organic Farming and the environmental and health ramifications of Farming with Chemicals. They give farm tours with hands on activities for children of all ages. this is just an amazing outing for youth of all ages. They get to see with their own eyes that Organic Small Farms are a fun viable occupation that provides healthy nutritious food for the nation; lowers imports and protects the earth for future generations. Their tours include fun and educational activities such as rolling compost games. They tailor their tours to all ages. 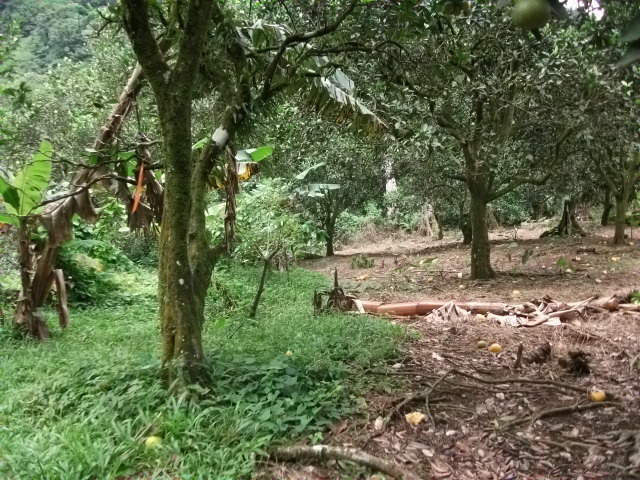 Their Organic Farm Tour is a wonderful introduction to Dominica’s traditional foods and methods of farming. it is child friendly and interesting to the entire family. You get to savour our local foods with more than one sense knowing that you are contributing to the development of a strong and vibrant Agro Eco Tourism Sector on island. This is Responsible Tourism at its finest. You can camp there if you want a Farm Vacation. Studying Tropical Agriculture or Organic Agriculture? Students from all over the world visit this thriving organic farm in a tropical environment to study with their trained and experienced Organic Agriculturist – Dawn. D-Smart offers Educational Programmes for children of all ages. This is a great way to enhance their environmental awareness; keep them active; foster a love of gardening and immerse them in nature. Children who have a chance to get excited about the foods they eat in an experience such as this are inspired to eat more healthy. This program strengthens the children’s appreciation and respect for their culture, organic farming, eco living and local foods. 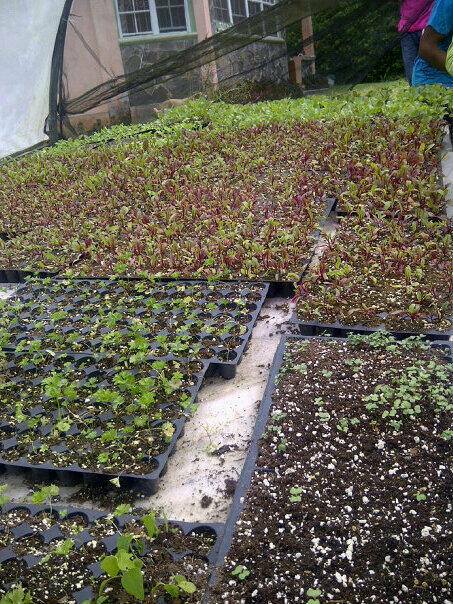 Dawn Francis is a trained permaculturist…focusing on the areas of sustainability and organic farming. Her training was done in Trinidad in 2011; there she obtained a certificate in Permaculture at Wasamaki Ecosystems. 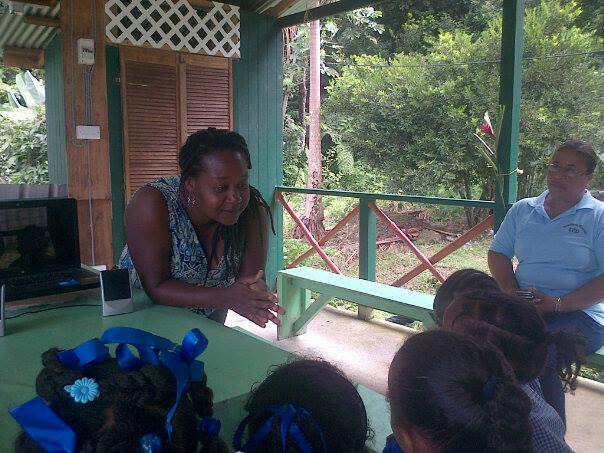 She also trained with Al Casimir of the Dominica Ministry of Agriculture – Organic Division. Dawn continues to increase her knowledge through self study and on site experience. Check out their Road Side Booth as you pass by Corona/Corona Estate between Pond Case and Sylvania on the Trans Insular Road newly renamed the . I love to lay on the ground and look at the night sky or the day sky and the clouds. I also absolutely love laying on rocks and practicing yoga in direct connection with these natural surfaces is a favourite activity of mine. I have always enjoyed sleeping; resting; sitting and walking on the earth. As my children grew up we camped a lot not only to get in nature but to be able to sleep in direct connection with the earth. For me it was a deeply rejuvenating and healing experience. Recently the value of direct contact with the earth has become more and more recognized. “Throughout time, we humans have strolled, sat, stood, and slept on the ground—the skin of our bodies touching the skin of the Earth—oblivious to the fact that such physical contact transfers natural electrical energy to the body. Modern lifestyle has disconnected us from the Earth’s energy, making us more vulnerable to stress and illness. Earthing is the landmark discovery that this energy upholds the electrical stability of our bodies and serves as a foundation for vitality and health. In an age of rampant chronic disease, reconnecting with the Earth’s energy beneath our very feet provides a way back to better health. For more information on Earthing check out Understanding Earthing. Recently released studies are showing Native Indians were absolutely right in their belief that walking on the ground was healing. The most recent study published in The Journal of Alternative and Complementary Medicine July 2012 shows that Earthing or Grounding the body reduces blood viscosity. Subjects were grounded with conductive patches on the soles of their feet and palms of their hands. Wires connected the patches to a stainless-steel rod inserted in the earth outdoors. Small fingertip pinprick blood samples were placed on microscope slides and an electric field was applied to them. Electrophoretic mobility of the RBCs was determined by measuring terminal velocities of the cells in video recordings taken through a microscope. RBC aggregation was measured by counting the numbers of clustered cells in each sample. Settings/location: Each subject sat in a comfortable reclining chair in a soundproof experiment room with the lights dimmed or off. Subjects: Ten (10) healthy adult subjects were recruited by word-of-mouth. Results: Earthing or grounding increased zeta potentials in all samples by an average of 2.70 and significantly reduced RBC aggregation. Conclusions: Grounding increases the surface charge on RBCs and thereby reduces blood viscosity and clumping. Grounding appears to be one of the simplest and yet most profound interventions for helping reduce cardiovascular risk and cardiovascular events. In March 2012 The Journal of Alternative and Complimentary Medicine published an article describing the interaction of the Earth’s mass-electrolytic conductor on the electrical environment of human organism-aqueous environment and skeleton released by Department of Ambulatory Cardiology, Military Clinical Hospital, Bydgoszcz, Poland. They found results indicate that up-and-down movement and the elimination of potentials in the electrical environment of the human organism by the Earth’s mass may play a fundamental role in regulation of bioelectrical and bioenergetical processes. The Earth’s electromagnetohydrodynamic potential is responsible for this phenomenon. In January of 2012 The Journal of Environmental Health published ‘Earthing: health implications of reconnecting the human body to the Earth’s surface electrons’; the source was the Developmental and Cell Biology Department of the University of California. This paper reviews the earthing research and the potential of earthing as a simple and easily accessed global modality of significant clinical importance. Their conclusion: Emerging evidence shows that contact with the Earth—whether being outside barefoot or indoors connected to grounded conductive systems—may be a simple, natural, and yet profoundly effective environmental strategy against chronic stress, ANS dysfunction, inflammation, pain, poor sleep, disturbed HRV, hypercoagulable blood, and many common health disorders, including cardiovascular disease. The research done to date supports the concept that grounding or earthing the human body may be an essential element in the health equation along with sunshine, clean air and water, nutritious food, and physical activity. Seems like Earthing is among the most natural and safest things we can do to live healthier! Oh joy! 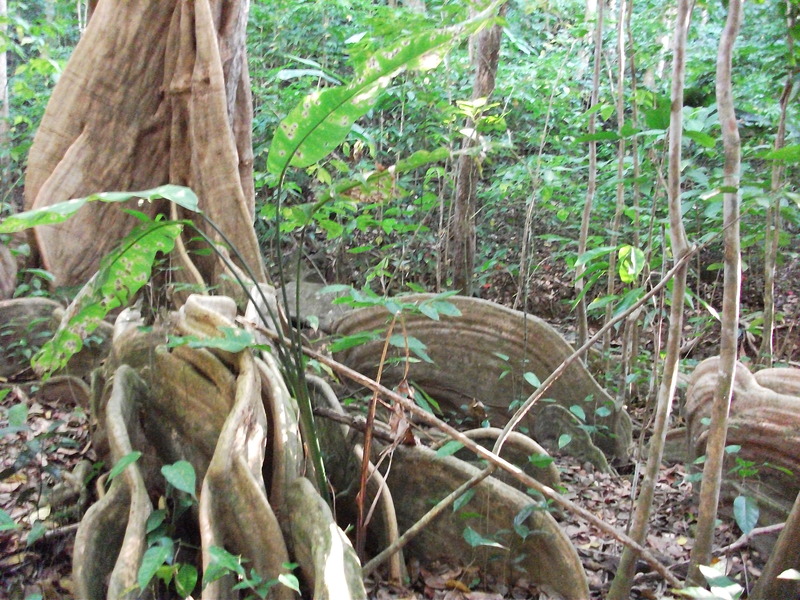 Dominica is the perfect place to hike barefoot or practice yoga in nature and take advantage of those healing energies. RESPECT to University of West Indies. Our on island campus is a center for learning. Many different degree programs are available through long distance learning and they provide a venue for all kinds of other interesting lectures, workshops, festivals and conferences to happen there. Dominica has a very unique volcanic environment! Of the 16 active volcanoes in the Caribbean Dominica has 9! We even have more than one kind of volcano! We live right on an arc of volcanoes where two tectonic plates meet. We are resting on 9 volcanoes or perhaps one volcano with 9 openings. Our island is the most volcanic of any Country in the Caribbean perhaps the world! There are numerous locations that volcanoes can be studied in Dominica: places where hot water or bubbles are floating up out of the ocean floor; places where cold sulphur water bubbles up out of the ground; places where different types of hot waters flow out of the ground or flow in rivers; the famous and unique in the world Boiling Lake or just drive to a high place and look out over the volcano peaks! Look for the black volcanic sands and enjoy the flavourful produce we grow in our rich volcanic soil as part of your volcanic experience in Dominica! 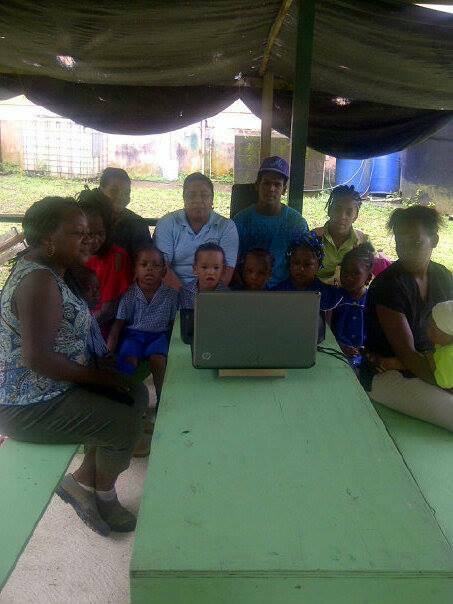 Check out my other article on Educating Children in Dominica about volcanoes. Volcanoes; University of West Indies; Seismic Research Centre – What are volcanoes? Why are there volcanoes in the Caribbean. Illustration of Caribbean Plate meeting North American Plate; Map of all the Caribbean islands and their volcanoes. Volcano Monitoring; University of West Indies; Seismic Research Centre – monitoring volcanoes in the Caribbean. Volcanic Hazards; University of West Indies; Seismic Research Centre – Hazardous volcanic effects in the Eastern Caribbean. Volcanic Activity in the Eastern Caribbean; University of West Indies; Seismic Research Centre – eruptions of the past ….. RESPECT to ITME; the Institute for Tropical Marine Ecology. I met Dr. Steiner at a meeting of the Dominica Conservation Association. When he told me he had opened a school and research centre here I was impressed. Over the years ITME has brought people from all over the globe to study our marine environments. Based on the exploration and research carried out by students and staff; ITME has recorded and published a website on Marine Habitats of Dominica. This year ITME will be hosting the 34th Scientific Conference of the AMLC (Association of the Marine Laboratories of the Caribbean), right here in Dominica………nuff respect. Teaching young children to love their environment is one of my great joys in life. I am convinced it is the first step to creating passionate environmentalists. I love to teach thematically using local environmental systems to teach math; language arts; science, social studies, health and any other curriculum standard feasible. This allows an in depth look to be taken at the theme chosen. Themes can change by the week, the month, the semester or even the year. The do not have to be focused on the environment it can be almost any suitable topic. As a teacher at Pioneer Prep; I often used Dominica’s Oceans as a semester theme. We did ocean math; ocean language arts; ocean science experiements; ocean read alouds, ocean spelling, ocean art and sang ocean songs. I tied everything together using a large wall mural. 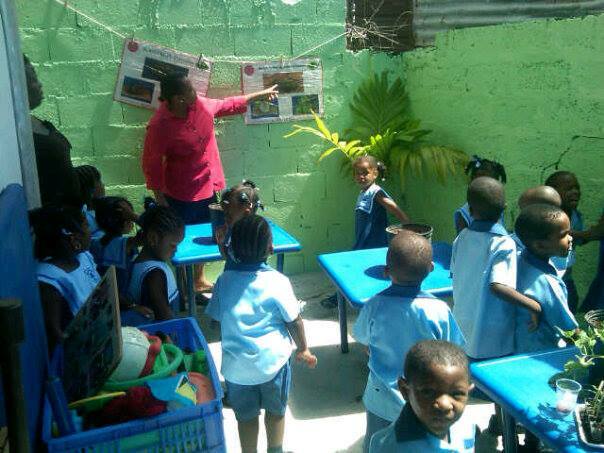 Starting with basic concepts such as land and shore, levels of ocean the students/teacher draw Dominica rising out of the ocean. We drew and labeled the animals and plants of the sea and attached them to the levels of the ocean they lived in. The water cycle is easily added to this same mural too. Young children who come to know and love their environment grow up wanting to protect it. Children need to know that they are neighbours to a whale family that lives just off shore less then a mile away! DHTA – Dominica Hotel and Tourisma Association General Meeting January 22. Venue to be announced. Phenomenal Caribbean Women Symposium; January 31, 2009; 9 am; Diocesan Pastoral Centre, Morne Bruce, Dominica; Tel + 1 767 449 9649. Dominica Herbal Association, General Membership Meeting; Monday, Feb 2; 2:30 pm; Fisheries, Roseau. “The Next Great Love Poem” Competition; Hosted by The National Youth Council in collaboration with Free Expressions Poetry Company. Youth 13 to 35 submit entries before February 7; email: nyc_dom@hotmail.com; office: 15 Bath Road, Roseau. “The Next Great Love Poem” Competition Show; “Many Moods of Love”; February 15th; 7 pm; Alliance Francaise de la Dominique. The show is also expected to feature other Dominican poets, dancers, singers as well. International EcoFest 2009; “A celebration of the world’s progress on saving our beautiful planet”; Rosalie Forest Eco Lodge, Dominica; Friday May 1st to Friday May 8. 34th Scientific Conference of the AMLC – Association of Marine Laboratories of the Caribbean; to be hosted by ITME, May 25-29, 2009, Fort Young Hotel Conference Centre, Roseau, Dominica. The 29th Annual Ecological Farming Conference: January 21 – 24, 2009 at Asilomar Conference Grounds in Pacific Grove, California, on the shores of the Monterey Bay National Marine Sanctuary. The 2nd World Congress of Agroforestry – Nairobi, Kenya; 20-29 August 2009. Agroforestry – The Future of Global Land Use. Email me with your event or programme; we can include it in our blogs and newsletter. This newsletter and the blog require that each event/programme in some way promote holistic, healthy or natural living. RESPECT to Tina and Cecile of IRIE ECO Summer Programme for their untiring dedication to exposing young children to the natural wonders of Dominica and the exhilarating joy of being in nature. Children who have attended their programmes over the years have been exposed to healthy eating, environmental awareness and the nature of Dominica through arts, crafts and many outings into nature….nuff respect; these children are the future caregivers of the earth/Dominica! n the natural environments around them. These activities will help children discover how to help keep “environments” healthy. Children and Nature Network– building a movement to reconnect children and nature. The importance of outdoor play. 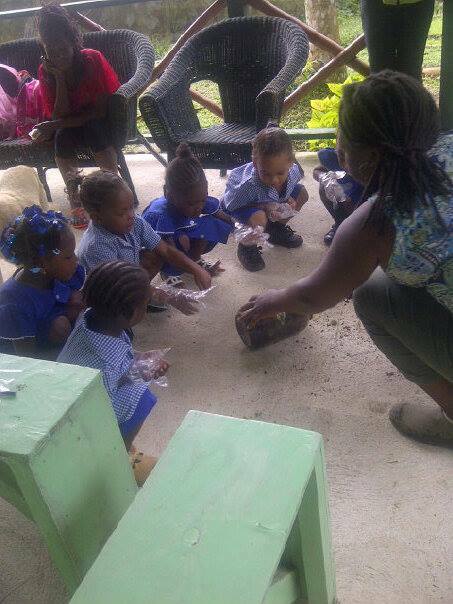 IRIE ECO Summer Programme – healthy, environmentally aware nature programmes for children.